Do you have lots of ideas for a new garden but don’t know how to put it all together? Has your garden been in place for years and now seems lackluster and tired? Do you have difficulty visualizing an overall plan? Do you need to rethink an out-of-control section? In a ‘Design you own garden‘ workshop you get to pursue a personal design project for your own garden. 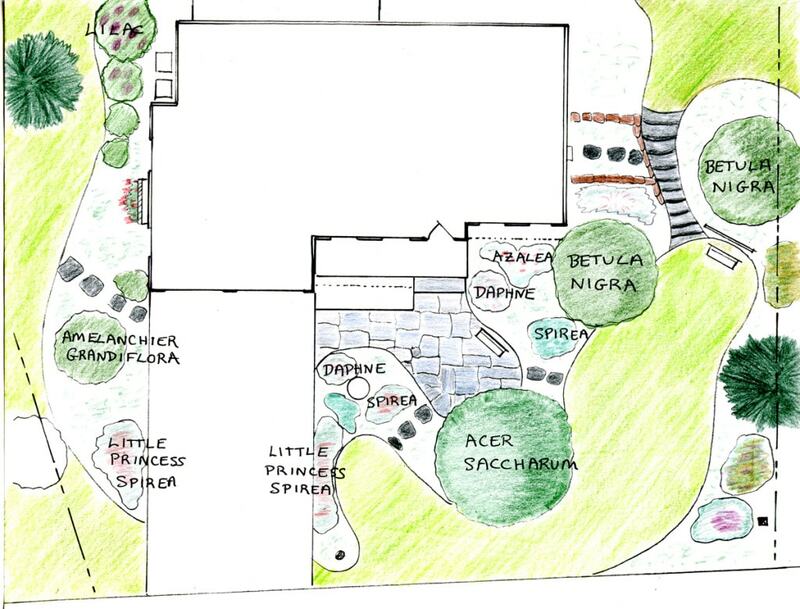 Your project can be anything you want—from developing a brand new spatial layout that complements your land, to creating a planting plan for an existing bed that sorely needs a ‘make-over’. In the workshop I will help you create a new design for your garden so that, by the end, you will have a ‘ready to implement‘ scale drawing that answers your specific problem. Workshops are offered through the Middlebury Studio School with the next one scheduled to start on May 11, 2019. Alternatively if you have a group of friends who would like to take a workshop together, I can come to your location. Workshops last ten hours, spread over three days. To allow ample time for individualized feedback each workshop is limited to just six participants. Before the start of the workshop I will send out suggestions for choosing your personal project plus how to gather preliminary measurements and photographs of your land as it is now. During the workshop I will provide reference books, drawing boards plus drawing paper and instruments for making a scale plan of your garden as you would like it to be. First a HUGE apology..I have been most remiss about tending to my blog and I did not see your comment and question until just now. I am hoping to run a small group workshop again at some point, but probably not this spring. Before you come you would take the critical measurements (essentially the footprint of the house, the position of the house relative to the road, existing hardscape, trees and shrubs, as well as any flowerbeds. I would provide you with instructions beforehand on the easiest way to do all this. Also you would take plenty of photographs both of your house and of the view looking out from the house. Before you come I would take these measurements and draw up what I call a base plan to scale —everything as it exists now. Then working together at my drawing board we would develop a new design for your garden as you would like it to be. We can also look at various plant possibilities here in my garden which gives you an idea how big different plants grow over time. Afterwards I can make a final copy of the new design and then mail you plenty of copies which you can use as you lay out various parts of the garden over time. Optionally I can also pull together plant lists for each part of the garden to help with actually getting the plants.